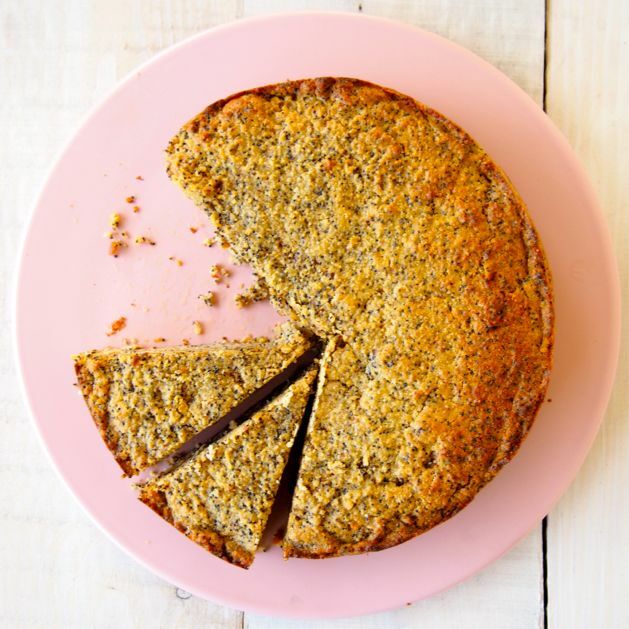 Healthy Orange & Poppy Seed Cake | Healthy Dessert! 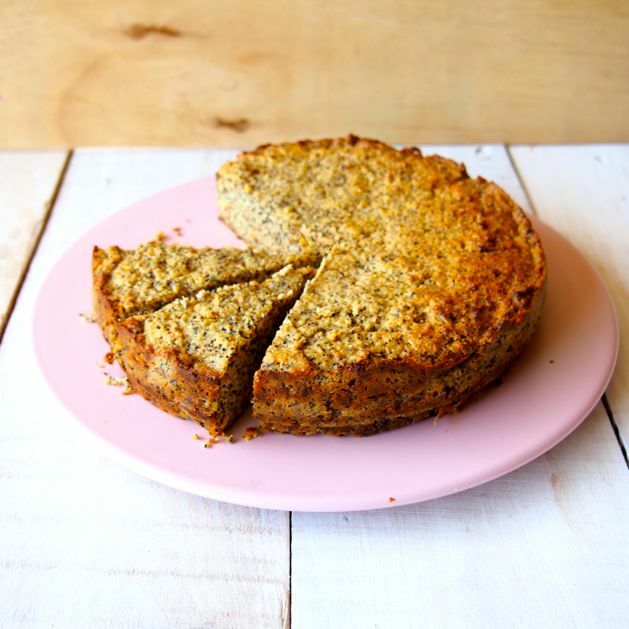 Healthy Orange and Poppy Seed Cake | Gluten Free, Grain Free, Sugar Free. You probably remember that we gave Merrymaker Mum the challenge to health-a-fy all her delicious classic sweet treat recipes. Of course you do, that’s like the most exciting challenge in the history of EVER! Well, she’s come through with another goodie! Can we get a yay?! YAY! We enjoyed this for breakfast with a cup of chai tea… yes, cake for breakfast is totally ok in Merrymaker Land. It was SO good that we went back for seconds… and then it was SO good that we put it in a container and sent it home with Mum and Dad so the rest of the cake didn’t mysteriously go missing (aka in our bellies!). Oh, you’re addicted to paleo sweet treats too? Join the club! That was pretty much where (half) the inspiration for our Make Life Merry Challenge came from! 4 weeks to a healthier, happier YOU (and US!). Meal plans, shopping lists, expert webinars and a private Facebook group so we can keep you accountable and on track to reach your health goals! Back to cake. Cake always wins. Mix it. Bake it. Eat it. Share it! Then let us know how you liked it, leave a comment or hit us up on social media! p.s if you want to frost this baby, try out the icing from our Carrot Cake! Preheat oven to 160°C (320°F) and line a 20 cm (8 inch) cake tin with baking paper. In a mix master, beat the butter and coconut sugar together. Add the eggs and orange zest, beat again until combined. 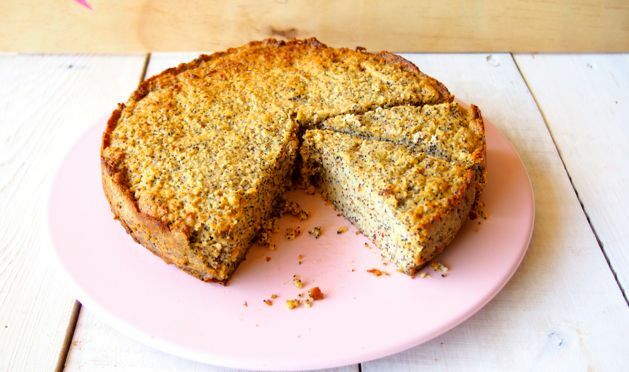 Add the orange juice, almond meal, coconut flour, coconut milk, poppy seeds and baking powder. Press the mixture in to the prepared tin (the batter is quite thick) and place into the prepared oven for 45 minutes or until golden brown on top. It may seem a little soft when you take it out but once you let it cool completely it will settle and become this delicious, amazing cake! If you want an amazing icing for this cake, try the frosting from our carrot cake! Recipe link above!